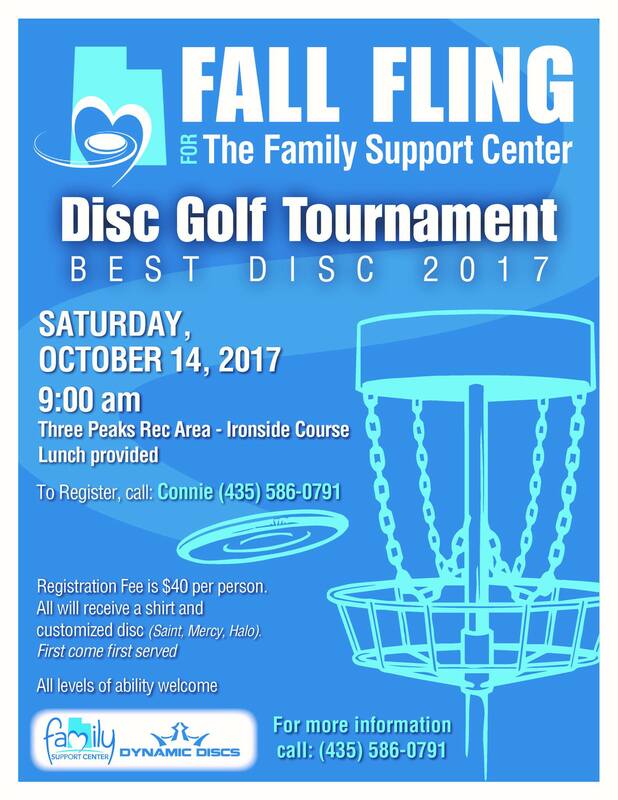 The Fall Fling disc golf tournament will be Saturday, October 14, 2017 at 9:00 am at the Three Peaks Recreation Area (Ironside Course). 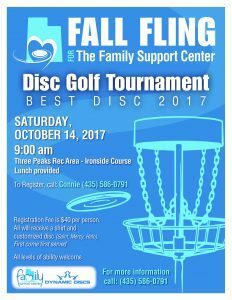 Come play and help the Family Support Center in their efforts to provide safe shelter for kids in troubled times. To register call Connie at 435-586-0791. Fee is $40 per person. Includes shirt, customized disc (Saint, Mercy, Halo) and lunch. First come first served. All levels of ability welcome.